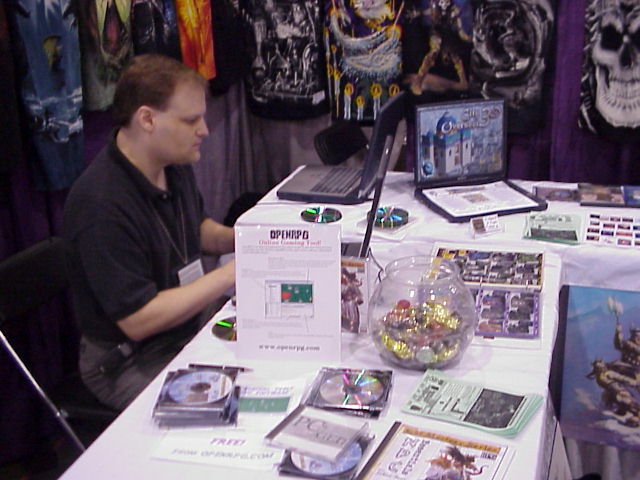 Tom Burning a few CDs of OpenRPG to give away. 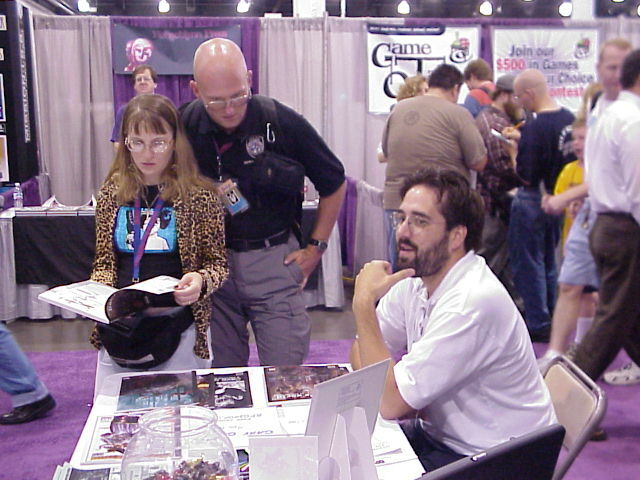 Chris Davis publisher of Darwin's World acting nonchalaunt as people paruse his new book. 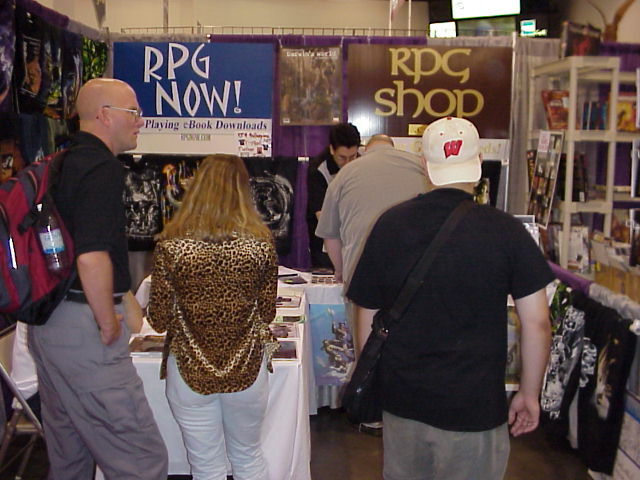 James owner of RPGNOW.COM and RPGSHOP.COM (as well as several other domains) hard at work ringing up sales. 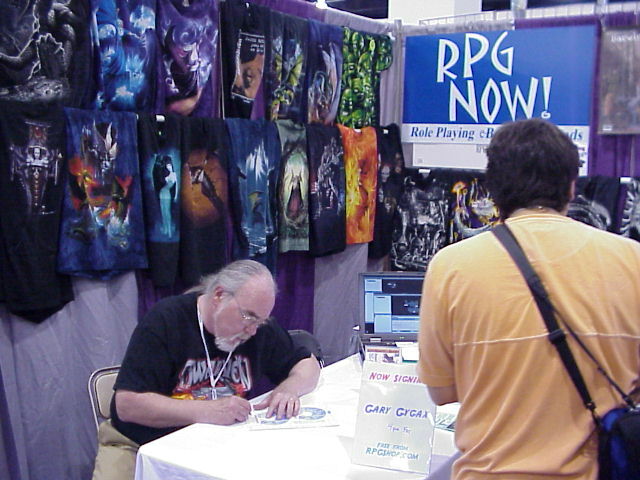 Gary Gygax signing a few things for people. 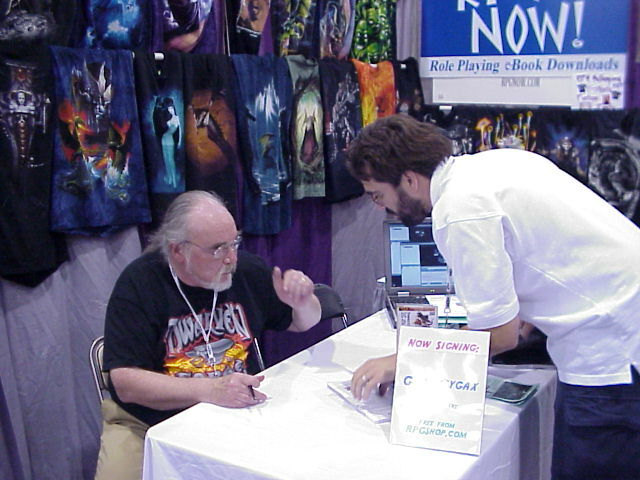 Chris Getting a book signed by Gary Gygax. 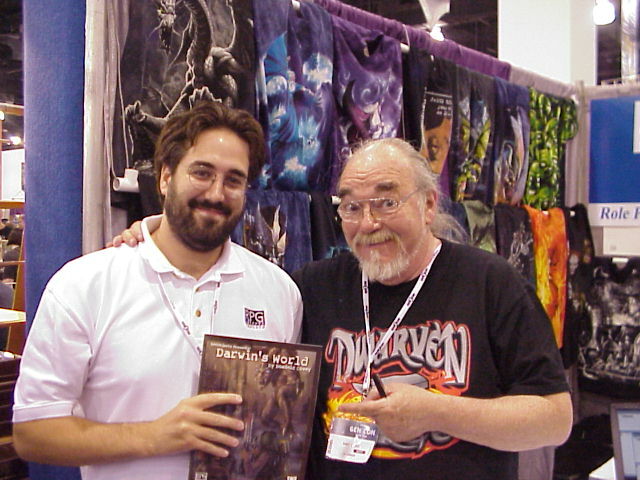 Chris and the book he published posing with Gary Gygax. 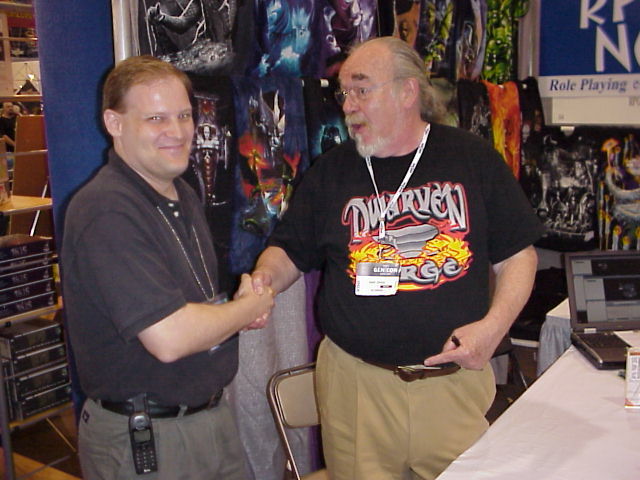 Tom posing with Gary Gygax.